Allow me to report about the X-Trail I bought from you. 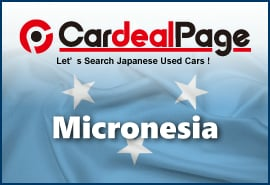 On February 26, 2014 about 10:00 a.m. the Kiowa Hibuscus ship arrived at Pohnpei Port in which my used car I bought from CardealPage.com was on board. Trought complete crelance it was released to my wife Karmerina S. Yamada. The X-Trail was great, nice and attreactive in its look. It is also macanicaly satisfying. It was released after my wife serrender all the documents you e-mailed to me. There was a little problem when we could not show the original Bill of Lading. However, when we showed them the surrendered copy of the B of Lading. They finally released the vihecile to my wife. Today the vihecile is at our house running, helping our needs. Thank you very much for your warm words and positive feedback. 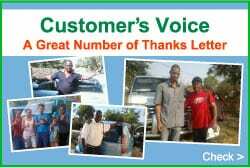 We are happy to hear that you received your car in very good mechanical condition and enjoying it. We`d love to do more and more business together.